Usually people use a surf board, and competed on the waves dancing in the middle of the sea. Well, maybe for Robbie 'Maddo' Maddison surfing like that are all too common. Therefore, he tried surfing or surfing with a slightly different way. 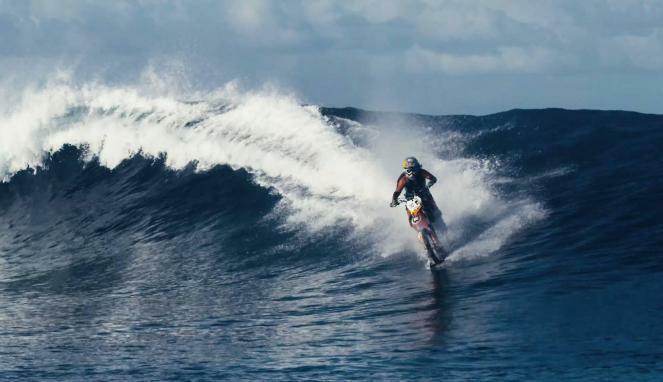 He used his motorcycle to surfing in Tahiti is located in the Pacific Ocean, French Polynesia! Yes, this is indeed Maddo Maddison surfing on a motorbike as in the video uploaded on Youtube. The video starts with Maddo Maddison who rode his motorcycle from the middle of the woods in high speed. Then the scenery turns into the waterfront to the high seas. Maddo Maddison does not stop here, he remains firmly spur his motorcycle without stopping. Passing through a small coral island, past the canoeist and the surfers with their surf boards. 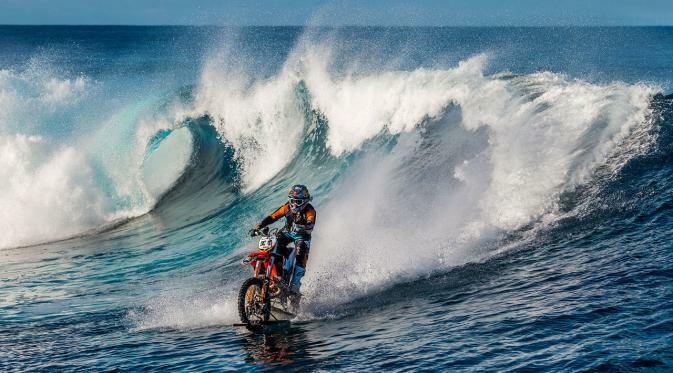 The most interesting thing is at the end of the video (DC SHOES: ROBBIE MADDISON’S "PIPE DREAM"), in which he tried to surf on super big waves with his motorcycle. Well, let's look at the video below.